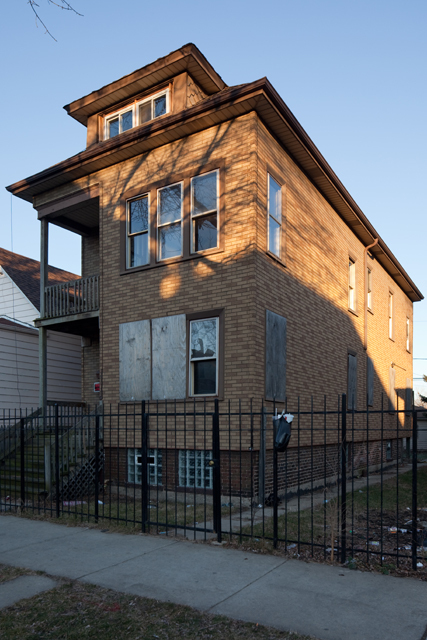 Gapers Block - To be Demolished: 8537 S. Escanaba Ave. Permit Description: Wreck & remove 2 story frame building with basement and 1 story frame garage. This property experienced a massive decline in value following a foreclosure in 2008. It sold for $195,000 on August 8, 2005 but was foreclosed by JP Morgan Chase on January 2, 2008. It subsequently sold for $32,500 on September 8, 2008, which is less than its sale price in 1995, $49,000. The building was called for an "Other" sanitation code violation via 311 on August 23, 2011. A family moving in across the street expressed little interest in the news that the building would be demolished other than to say it could have been a good investment, assuming the South Works redevelopment is successful.